Instead of a title screen, let me start off with a trailer, just to give you guys an introduction to the indie game Chronicles of a Dark Lord: Episode 1: Tides of Fate. 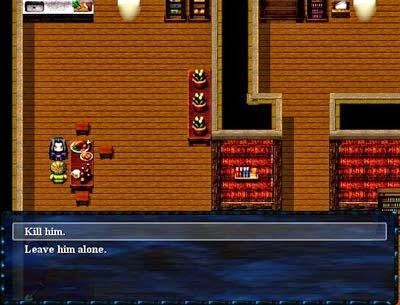 It’s ironic that I use RPGMaker (RM) as one of my tools in making games but Tides of Fate is probably the only RM RPG I was able to finish. I’ve played a lot of RM demos because I truly wanted to support RM users, but many titles (except for brilliant non-RPGs like To The Moon, Ninja Clause and Touhou – Wondering Souls) leave much to be desired. Tides of Fate, despite looking very indie, has a story and soundtrack that enable it to rise above so many generic looking RM games. Let’s enumerate why I like this game, shall we? You play a Dark Lord. Understandably, that means you’re evil. The first time an old man insulted me in the game, I was given a choice of whether I should kill him or not. I picked the first choice and to my horror, I killed an old man. I restarted my game. Bwahahaha! I had no qualms killing other annoying villagers, though. Like so. I just didn’t like the idea that I’d use my strength on a feeble old grandpa. I may be evil, but that was beneath me. It took me a while to get into the “evil incarnate” role, but if I wanted to be evil, I think I’d rather be Lawful Evil than Chaotic. What I liked best about this game is how progressive it is. 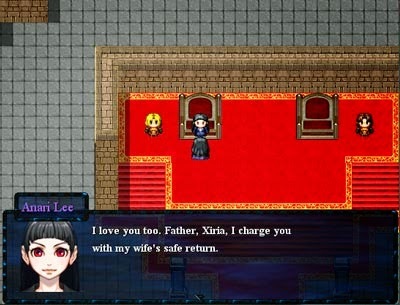 The protagonist has a lesbian daughter whose wife becomes a member of your party. Oh, right. The protagonist has adult children, all of whom are rulers in neighboring kingdoms. This makes the game far from being ageist (though I can’t say much about nepotism). 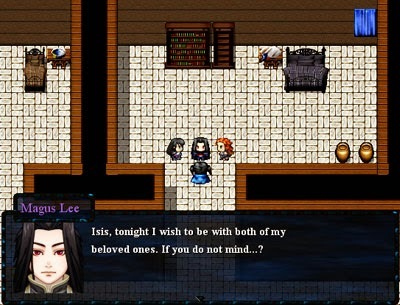 I’ve actually grown tired of RPGs with teenage protagonists that are always emo. I mean, I loved the last two Persona games, but there’s only so much teenage first world problems I can handle (I’m looking at you Ai Ebihara, Yumi Ozawa, and Ayane Matsunaga). Playing a mature Dark Lord is a welcome change. Uh…but the Dark Lord’s son and daughters have different mothers. There’s a bit of mature humor in here when I realized that I had the Dark Lord’s wife and mistress in my party. Aaaand later…the ex-wife. Man, I envy how this guy keeps things from getting awkward. Wish I could talk to my exes in the easy manner that he does. There were a few mini-games I enjoyed here. I was actually surprised that I liked fishing. 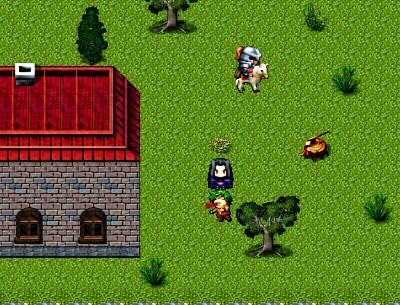 In any other RPG, I hated hated hated hated fishing. Here, it’s not so problematic (again, I’m looking at you Persona 4, and you Legend of Legaia). 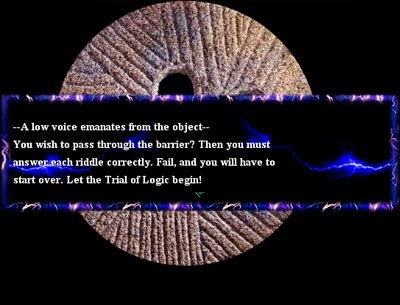 I also wished there were more puzzles like those found before the final dungeons. Puzzles tend to break the monotony of dungeon crawlers. Another thing I really appreciated here is the battle encounter meter. I didn’t notice it at first but when I realized what it was for…let’s just say it’s my most abused feature. Basically, this meter allows you to see if you’re about to have an encounter or not. When the gauge becomes full, you go into battle. When I don’t feel like grinding, I’d stop walking because that will allow the gauge to go back down to its original state. This puts a nice spin on the annoying random encounters. Difficulty-wise, I also had nothing to complain about because I stumbled upon a Lazy Sword and Mail set while randomly clicking walls. Let’s just say that the weapon and armor made boss battles (except for the final boss) easy. My complaints are minor, but I think most of them are UI and QA related. When I checked the credits, there were only 4 QA members. A game of this magnitude, regardless of the gameplay length, should have more. There were also dialogues that got cut off due to margin errors, which caused me a bit of confusion. I love the story to bits, but now I wish for a wiki. Above: just a few of the dialogues that were cut off. Some of the earlier dialogues had whole phrases beyond the margin. Lastly, the UI. It took me a while to get used to because they reminded me of my early days as a web developer back in the 90s. During that decade, people went overboard with Photoshop filters (drop shadows, outer glow, bevels, emboss) and graphic designers used more than 3-5 fonts (this is considered taboo now). Overall, this is so much more than what I paid for. I bought it on sale ($1.50). You could actually feel the effort in the developers’ part. I checked to see how they were doing popularity-wise and I’m glad that they’re doing well. I even voted them up when I found out that they’re on Steam Greenlight. How come it's only now that I've come across this gem? Why isn't this game mainstream yet? I mean, now that I've played it, just freakin wow. The presentation is superb, the storyline is addictive, characters are nicely developed with real personalities, gameplay is solid, graphics are retro HD niceness and the soundtrack is absolutely amazing! I've so become a fan of this dev now. 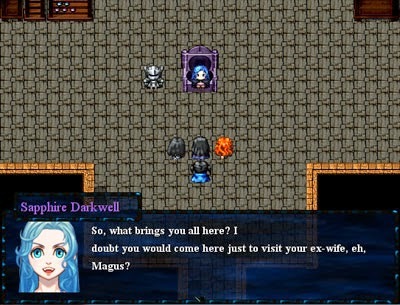 It's a little stranger once you realize that Gelina isn't just Magus' mistress, it is implied that she (shall we say) “consorts” with both Magus and Xiria. I don't want to spoil anything but this fact explains some of the events at the beginning of Episode 2. TRUEEEE! I was about to complain about the gender imbalance (“If Magus has a mistress, Xiria should have one, too! ), then I realized what their arrangement was. LOL. I stopped complaining in my head. Their arrangement is certainly more… complex than most game relationships, which serves to make the characters more interesting. The only thing I didn't like about this game is that it's too linear, I like being able to go back and revisit places I've been. Basically all there is to do after beating the game is to start over and it usually takes me a few months for the memory to fade enough for me to enjoy a fresh play-through.